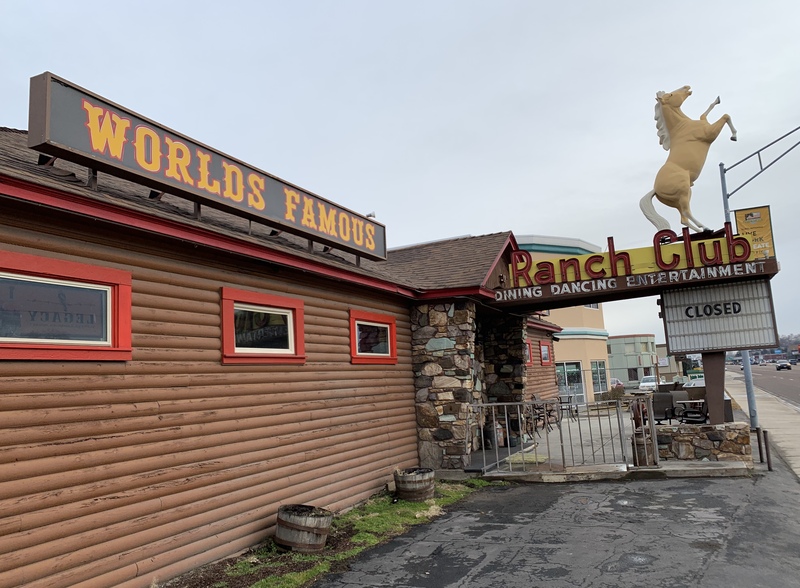 The Ranch Club in Garden City isn’t playing country tunes or serving up drinks today. A stark “CLOSED” is on its roadside marquee, right next to the WORLDS FAMOUS sign. It’s the second time the bar has shut down in the past two years – but new owners hope this closure won’t last long. “We’re closed for a week for construction, and waiting for the liquor license to post under the new owner’s name,” Nikki Zimmerman said. She is helping her boyfriend Tyler Reynolds after he took over ownership of the club. Zimmerman said they hope to only be closed for a week while they wait for the license. She said the Federal government shutdown has slowed the process. While they wait for the licensing to be worked out, they are doing some upgrades inside the building. “We are on standby waiting for a call to make sure it goes through,” she said. As soon as they can, they will be open for drink service from 3pm to close. The kitchen closed under previous owners, but Zimmerman and Reynolds plan a grand reopening of food service on Valentine’s Day with a whole new menu. The Ranch Club opened in 1949 and operated under one family until 2002, according to the Idaho Statesman. It has closed and changed ownership several times, including 2002, 2005 and 2017. The bar features in the 1982 Clint Eastwood film Bronco Billy.